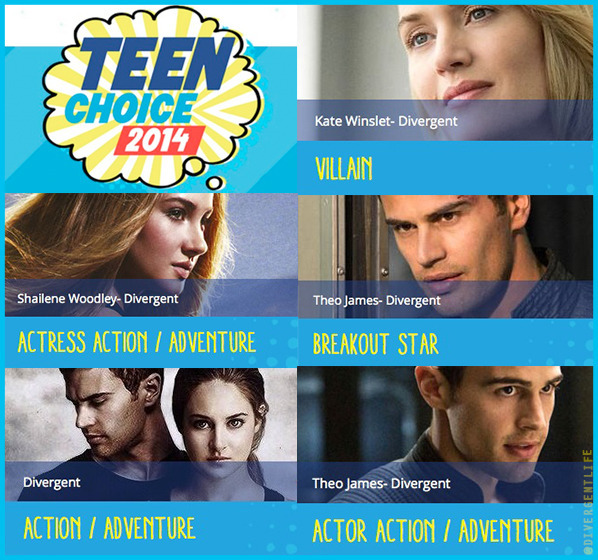 DIVERGENT won a total of 4 awards at the 2014 Teen Choice Awards! Yay! Stars Shailene Woodley and Ansel Elgort attended. Check out pictures and videos of the two below, plus the acceptance speeches. The Teen Choice Awards are airing Sunday, and you've been voting hard. Good job. DIVERGENT and the cast are up for plenty of awards so we're hopeful they'll come away recognition for their hard work! 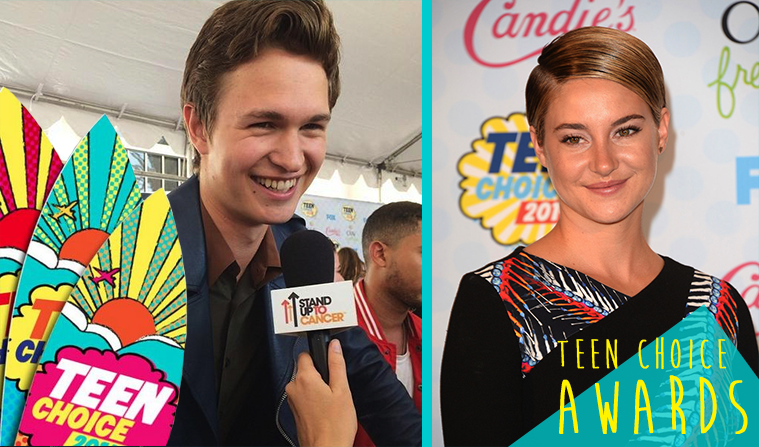 Ansel Elgort and Shailene Woodley are both also up for more awards for The Fault in our Stars. Shailene is confirmed as attending by her stylist and has been spotted in LA, and Ansel is scheduled to present at the awards. No word on Theo James (who was recently spotted in Berlin at a wedding) or any other cast members. The Teen Choice Awards Show: On FOX. 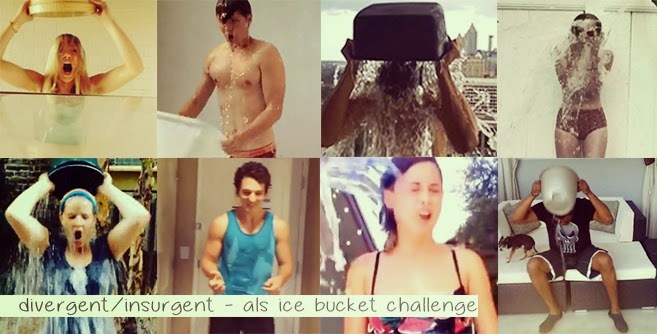 Re-watch yesterdays livestream with Christian Madsen who plays AL in DIVERGENT. Christian kindly answered fans questions for an hour and a half! Such a lovely guy, and totally down to earth. 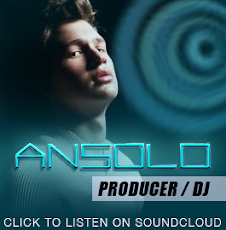 In the chat he talks about working on the movie, hanging out with cast members, meeting fans, and more. Theo James to Star in New Movie "The Secret Scripture"
Pic also stars Vanessa Redgrave and Jeremy Irons and revolves around a woman’s extended stay at a mental hospital. Bana will play a rebellious doctor who is responsible for reviewing Roseanne’s (Mara) case, James will play the local Catholic priest and Reynor a member of the British army and Mara’s love interest. James recently wrapped production on the QED pic “Franny” opposite Dakota Fanning and can also be seen in the ensemble pic “London Fields.” As for “Insurgent,” the next installment in the “Divergent” franchise, James is still filming the pic and will go immediately into “The Secret Scripture” following “Insurgent” production. Mashable has shared 8 awesome DIVERGENT concept images & set photos to mark the release of the movie on DVD & Blu-Ray, with captions below by director Neil Burger & producers Doug Wick & Lucy Fisher. They include Abnegation Village, Erudite HQ, The Pit, & more: Click for full size. Hero Complex: I understand that you’re a latecomer to the world of acting? Theo James: I think it was always kind of around. I was always one of those annoying, performing little shits. To pretend that I just fell into it and was like, “Oh my God, whoopsy daisy!” — people sometimes pretend that, and it annoys me. Everyone’s going to try. It’s not like it just happens. But basically, I was 18, I finished school, I vaguely thought about it, but then I didn’t really know how to get into it. I didn’t know anyone involved in it. I went to university. I went away for a bit and traveled and kind of was at a crossroads post-university, and I thought, maybe this is worth a try. So I went to a drama school. Basically, an ex-girlfriend at the time was auditioning for these drama schools, and she kind of told me about it and how it worked, and it went from there. So I kind of started in 2010. 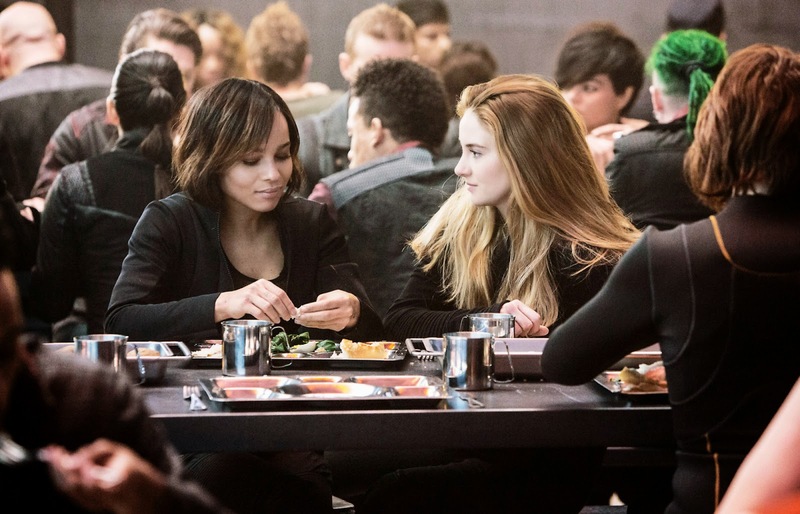 In anticipation of the home video release of Divergent, CinemaBlend had the opportunity to speak with director Neil Burger about the making of the film. Among the topics of discussion, finding the right Four, Kate Winslet's pregnancy, the zip-lining scene that almost didn't happen and the challenges the sequel faces. 1. The zip lining scene almost didn't happen. Burger confirmed that the draft of the script he was working from originally didn't have the zip-lining scene in it. The reasoning behind almost omitting such an iconic scene from the book was that it wasn't really life-altering and it didn't present any kind of obstacle for Tris. "She’d had other victories already," Burger explained. "With the capture the flag scene which comes right before it." But in the end, Burger fought to get the scene in the movie. "I just felt like it was such a great spectacle and also such a signature event in the book that it had to be in there," he said. It certainly was one of the most fun scenes to watch in the film, and it sounds like that was Burger's primary goal, as he said he worked really hard to make it as wild and fun a ride as possible. In this exclusive Movies On Demand interview, Shailene Woodley, Tony Goldwyn and Ashley Judd discuss what they love about their latest film, Divergent, now playing On Demand. Happy DIVERGENT DVD release day! Al may have the physical advantage of being bigger than his peers, but that doesn’t work out for him during training so he resorts to betraying Tris, which is something he later ends up regretting. How was it like to film the big scene where Al tried to apologize to Tris? When I read the script, I knew that was going to be a challenging scene because of the emotion behind it. When you shoot a movie like that, there’s a lot of times when you are having a lot of fun because there’s a lot of action sequences. Everyone literally became so close — you know, friendships, stuff like that. When we shot that scene when I was in the dining hall with Tris, I had to really separate myself from everybody because I had to go to that headspace of Al being very, very alone, trying to be somewhat of a forgiving — It was really hard that day. How much do you LOVE Divergent? eOne, the distributor in Canada, are hosting a special live chat on the OFFICIAL DIVERGENT FACEBOOK PAGE at 8PM EST / 5PM PST to celebrate the Divergent DVD release! The #DivergentLiveChat will be held via Google Hangouts as well as on the Official Divergent Facebook page! Who: The Official Canadian Divergent Ambassador + 4 Divergent Fan Experts + you guys! Amazon UK is offering a lucky fan the chance for them and a guest to win a 4 night visit to Atlanta, USA, and get exclusive access to the set of Insurgent – the next movie in the Divergent series. The draw runs until Saturday, 17 August 2014. The winner and guest must be available for travel to the USA for 4 nights on 3 September, 2014. The prize includes transport, 4 nights in a 4* hotel, spending money, and more. Good luck initiates, let us know if you're lucky enough to win! Enter your details using the form HERE. 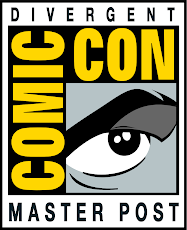 Entrants & their guest must be aged 18 years or older. Read Terms and Conditions before entering. -Great news from the “Divergent” universe, gang — not only is the special-features-loaded Blu-ray officially out on Tuesday (August 5), but the whole cast and crew is already hard at work filming scenes for the sequel, “Insurgent.” Speaking like a Candor, that’s pretty freaking awesome news. Here's an exclusive clip via Moviefone from the DIVERGENT Blu-Ray features. Director Neil Burger, Producers Doug Wick and Lucy Fisher talk about filming the movie in Chicago. 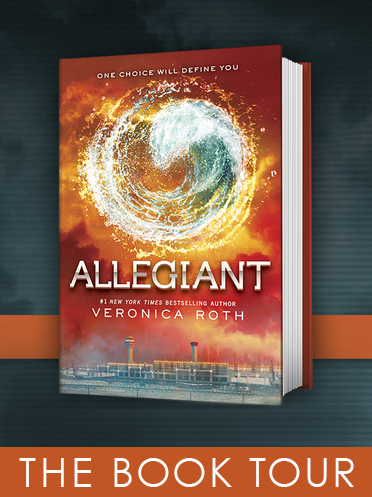 WIN a Copy of DIVERGENT on Blu-Ray! UK Initiates, the DIVERGENT DVD and Blu-Ray hits shelves next MONDAY, 11 August. 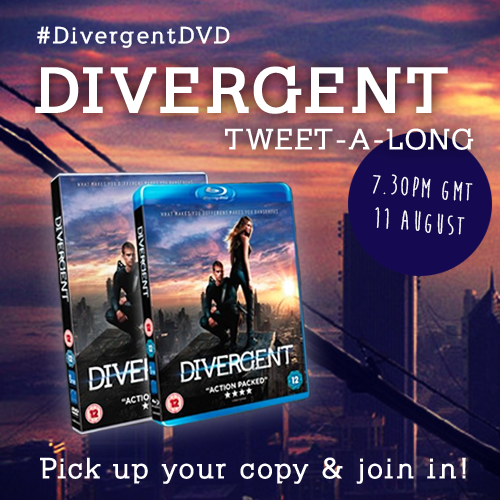 The hashtag we are using will be #DivergentDVD, and we'll retweet a few of your tweets too. Below are some buying options for the UK online, or you can pick it up in a store on the day, or in digital HD on iTunes.